In our last Combination Therapy chat, we discussed the wonders of Microdermabrasion as the ideal prep for any skin treatment. The use of Viora’s Pristine is practically a necessity for just about every skincare regimen. This week, we’re sharing a combination that includes one of our international favorites – Infusion electromesotherapy! We’re big fans of combining the capabilities of advanced Light treatment of V-IPL, the precision radiofrequency of Reaction™ and the hydrating and rejuvenating effects of Infusion™’s electromesotherapy. This blend results in a series of treatments that heals and rejuvenates skin from the deepest layers out. 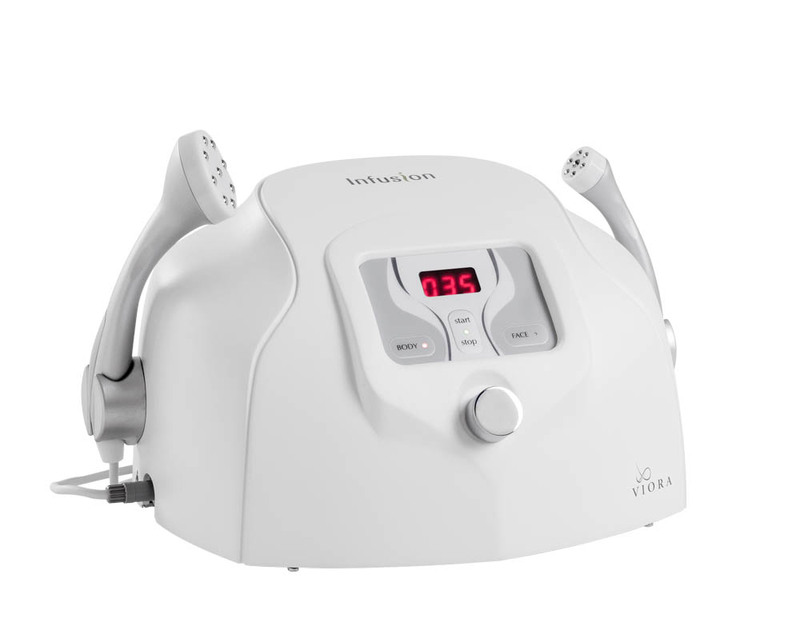 This special combination of devices has the potential to address sagging skin, pigmentation irregularities, vascular lesions, acne, and for improving tone and texture. Now you know why V-IPL, Reaction & Infusion form such a powerful alliance! So what does this all entail? A series of 6-10 treatments is recommended; depending on how much correction you desire. Once you’ve finished these series of treatments your skin will be radiant. Infusion isn’t available for use in the United States, but make note of the potential of including these devices in your skincare treatment when you’re globetrotting! PreviousJoin in on the VIORA MADNESS and Enter our Giveaways!